We’ve been anxiously awaiting the reveal of our brand new website, and it’s finally here—along with our new blog! It’s an exciting time at the Pennsylvania College of Art & Design, and we couldn’t be happier with the direction we’re taking. As you’re probably aware, PCA&D offers countless ways for students to jumpstart their careers in the arts. 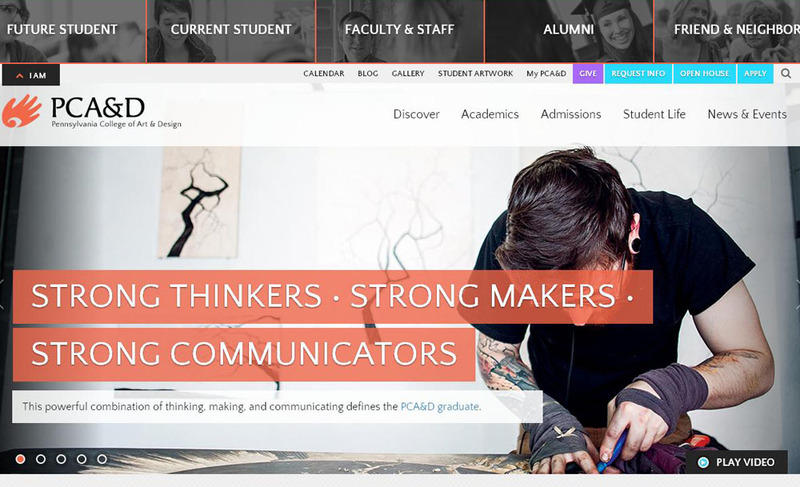 That’s why we wanted to transform our old website into a communication hub for students, faculty, alumni, and others interested in learning more about our school and what we have to offer. We also wanted a site that better showcased our vibe and style with vibrant colors and bold, beautiful imagery. 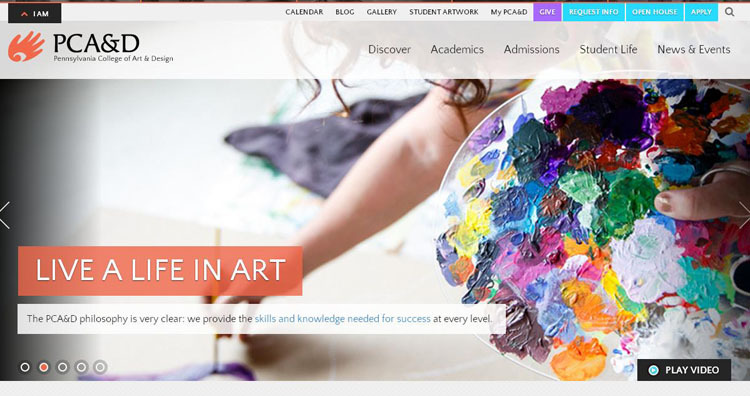 We’re an art school, after all, and the new site offers increased opportunities to portray the high quality creative works produced by both our students and our staff on a regular basis. To keep the content organized, we’ve broken it down into helpful segments—Future Student, Current Student, Faculty & Staff, Alumni, Friend & Neighbor—based on who you are and what kind of information you’re searching for. That way, you always have important links and resources right at your fingertips for easy access. The PCA&D Blog is also making a big comeback with informative articles coming your way in the near future. Be sure to tune in for awesome insights and articles that ignite your imagination and keep your work inspired. Until then, spend some time exploring the new site! Check out our brand new Gallery, peruse the News & Events section, and be sure to take a look at Student Life for events, activities, and other happenings around the PCA&D community. There’s so much to see and countless ways to keep involved, so make sure you take advantage of everything our new site and blog have to offer.